Traveling to Italy? This guide helps to explain the Italian wine classifications so you can find the right wines for your pallet. Italy is known for a lot of things, from the interesting Roman Empire history and the ruins to the stunning landscape and the pristine coasts along the Mediterranean, there are many reasons why people choose Italy as a place to live and a place to spend their holidays in. Another thing Italy is famous for, however, is the fine wine produced in different parts of the country. 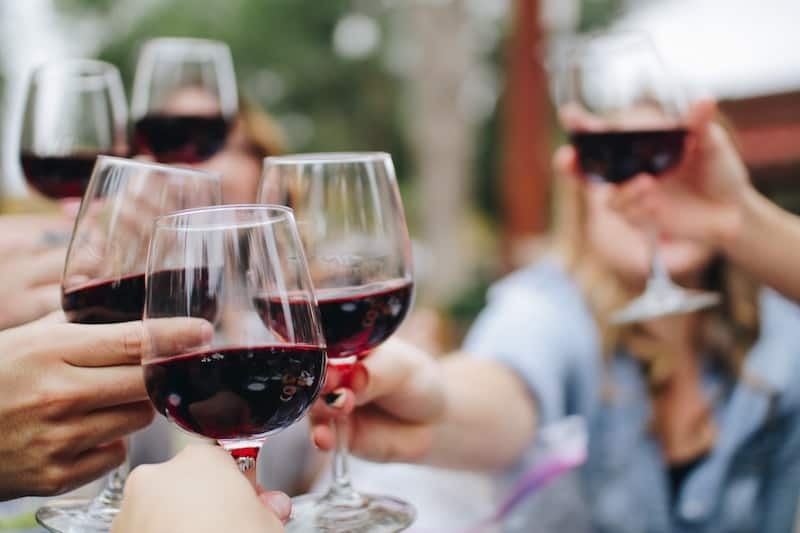 Regardless of what you’re in the mood to drink, providing that you’re of legal drinking age, you will surely be able to find the type of wine that suits you best. And in order to make sure of that, let this short guide help you understand Italian wine classification system along with other information that will help you enjoy Italian wine even more. The incredible reputation of Italy when it comes to their wine is not only brought by the fact that it produces and trades more wine compared to any other countries in the world, but also because it offers the widest varieties, which ranges through almost every flavor, color, and style you can think of. Italian wine producers have moved fast to the top of the Enology industry, which improves methods to produce wines of undeniable types in all regions: Central, North, and South. Italy offers wine lovers a lot of unique styles and flavors, bottles filled with Italian passion and creativity. Even though the key to truly understanding Italian culture is to focus on each region instead of the whole country in general, from the aromatic, typically sweet, ferments of the Deep South to the North’s subtle sub-alpine essences, it’s possible to generalize Italian wine relatively. Red wines have some kind of bitterness, the good kind of bitterness. Actually, it’s so addictive that even though you’re not a wine drinker, would definitely enjoy it. Italian white wines, on the other hand, used to be distinguished their lack of fruitiness and aroma. Now, they are generally very well made, which offers an attractive blend of refreshment and fruitfulness. Creating a guide to Italian wine that will cover the country on the whole in a single article is almost impossible. There is barely an inch of Italy that could not produce grapes suitable for creating wine, and therefore there are many specific regions making a different range of wines, some of which are found only in the country. 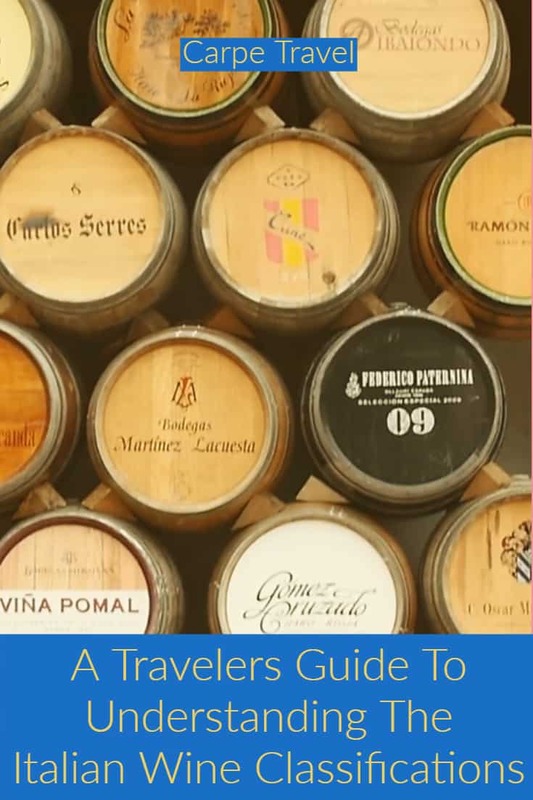 Therefore, this guide is only going to focus on how you can find the right wine for you. DOCG or Denominazione di Origine Controllata e Garantita, this type of wine is the best type of Italian wine. Wines with this label denote controlled production methods controllata) and guaranteed top quality wine (garantita). Strict rules applied in the production of this type of wines, most clearly the used grape varieties, yield limitations, ripeness of grapes, the process of winemaking, and maturation of barrel. All wines in this category would go through official tasting process. In order to prevent counterfeiting, you will find unique government seal numbers on each bottleneck. DOC or Denominazione di Origine Controllata is the main tier of classification for Italian wine and covers most types of traditional wine of Italy. All in all, there are about 330 DOC titles, each of which has their own set of laws leading its viticulture zone, wine style, as well as grape varieties. IGT or Indicazione Geografica Tipica was first distributed to the public in the year 1992. The main purpose of this wine is to give freedom to local winemakers to produce wine. Before 1992, a lot of wines were unable to qualify for DOCG or DOC status – not for the reason that they were poor quality, but for the reason that they were produced using the type of grapes that are not authorized under DOC or DOCG laws. This classification focuses on where the wine came from, instead of the type of grape or the style of wine. VDT or Vino da Tavola, which literally translated to ’table wine’ in English, this label represents the most basic level of wine in Italy. This category held a certain status in the year 1970s and 1980s, on account of experimental winemakers who created high-quality wines under the category. This situation has slowly reduced, however, since the production of IGT category started as it is more flexible, and this category has steadily gone back to its original status as the lowest quality of Italian wine. Vino da Tavola, which is supposedly basic table wine type in Italy, designed to be an equivalent to Vin de Table of France. In the 1980s to 1990s, it signifies an important proportion of best wines of Italy, which did not comply to any DOC regulations. A lot of such wines are presently classified as IGT. Mostly known for the Piedmont region, the Northwest has the regions of Lombardy, Val d’Aosta, Emilia-Romagna, and Liguria as their source of fine wines as well. 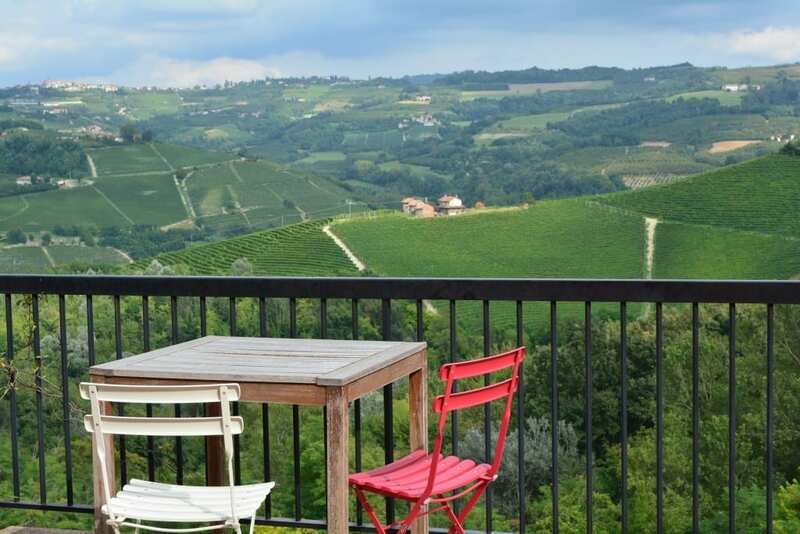 Piedmont is known for its Barbaresco and Barolo, which are made from Nebbiolo grape. The Barbera and Dolcettos, both cheaper and lighter, shouldn’t be overlooked as well. 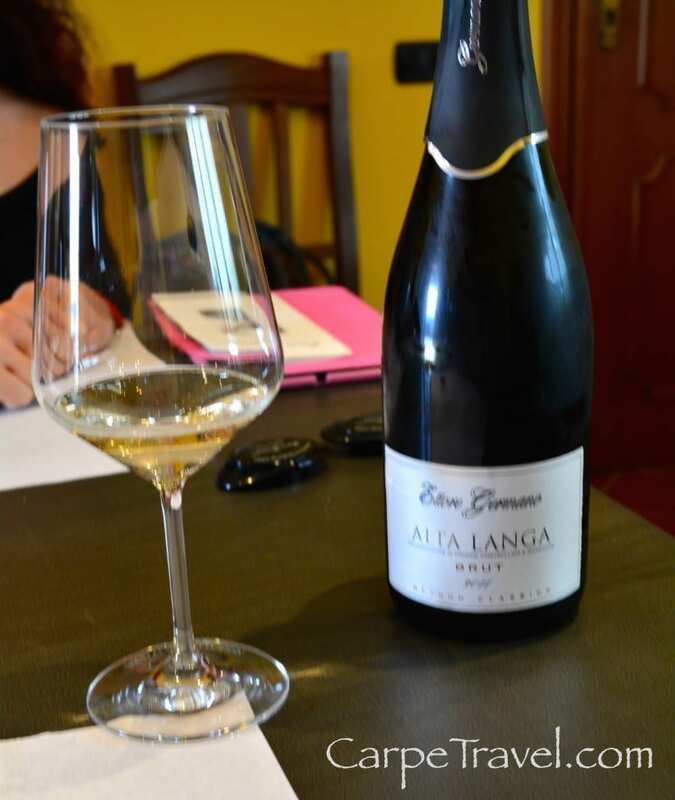 On the other hand, Emilia-Romagna is also popular familiar for its sparkling Lambrusco. Northeast has these three regions: Trentino-Alto Adige, Veneto, and Friuli-Venezia Giulia, which are called Tre Venezie collectively. Veneto is the biggest maker of D.O.C wines in Italy. Each of these regions is affected by the Alps which guard the areas against the damp weather of many European regions. Wine production in these areas is characterized by modern efficiency related to other regions of Italy. Like other parts of Italy, different types of grapes are harvest here with a lot of local and international varieties. Some of the famous regions in this part of Italy include Valpolicella, Soave, Prosecco, and Bardolino. This region includes Sicily, Sardinia, Apulia, Calabria, Campania, and Basilicata. Both Sicily and Apulia are competing for the first rank of who produces the highest volume of wine in the entire region. Although the South region is quite infamous for having poor quality wines, there are a lot of great bargains available on the market as manufacturers prioritize in making a better product for the export purpose. This winegrowing area includes 6 regions: Tuscany, Marches, Umbria, Abruzzo, Molise, and Latium. The Sangiovese grape is the king in this region. Tuscany is undoubtedly the most popular region in this part of the country with Vino Nobile di Montepulciano, Brunello di Montalcino, and Chianti. Orvieto and Trebbiano are probably the most preferred white grapes in this area. Recently, foreign varieties such as Merlot, Cabernet Sauvignon, Sauvignon Blanc, Chardonnay, and Pinot Noir have been used with promising results. White wines come with their own characters. Soft, crisp, and extremely acidic, they’re made to go with food without overpowering it. The best white wines in the country are grown, mainly, in Piedmont and the Tre Venezie. The cooler climate of these regions makes these wines more enjoyable to drink. White wines offer diverse and distinctive flavors. When you visit Italy, make sure to try a different variety of white wine. Some of the ones you must try are Arneis, Asti, Gavi, Italian Chardonnay, Orvieto, Pinot Grigio, Soave, and Verdicchio. Daring, Flavorful, and Delightful – From lavish, deep red Chiantis to lighter, sweet Bardolinos, Italy makes some of the best red wine in the world. Perfect for additional luster to amazing Italian cuisine, red wine is available in different style and quality. The cool, hilly part of northern Piedmont creates crisp, rich wines, while the tropical region of Tuscany produces bold, strong, rich sensations. Italian wines offer an earthiness that replicates the soil, the exceptional Italian grape varieties, and Italian art of winemaking. More than 60% of the wine produced in the country is red wine. Some of the red wines you should not miss are Amarone, Barbaresco, Bardolino, Barolo, Brunello di Montalcino, Chianti, and Vino Nobile di Montepulciano. When it comes to food and wine, the saying “opposite attracts” doesn’t apply. A traditional way to drink Italian wine is by pairing the regional wines with provincial specialties. It is very easy – if you are eating a meal from Sicily, you would normally want to adhere to wines from Sicily; if you’re craving for some Tuscany cuisine, then look for a regional wine from Tuscany. The country’s cuisine is diverse with its wines. Take consideration of the spices and vegetables popular in the region where the wine of your choice was produced and look for dishes that carry the same characteristics. Another thing to consider is the soil that the vegetables and fruits were planted and the grass the cow feed upon, that should be the same base for the vines. They consume the same nutrients and will then carry the same flavors – because as an old saying goes if it grows together, it goes together. This is indisputably one of the common starting points for food and wine pairings, however, this simple way can be restricting. Sometimes, the best pairings of food and wine make you step outside your natural boundaries. So, to guide you further on how you can pair delicious Italian wines with food, keep reading. First of all, you may want to match wine with meals that carry the same texture and richness. Consider what’s going to highlight the characteristics of wine and food alike. Chainti matches perfectly with a pungent tomato-based pasta dish with a rich-flavored cheese, such as parmiggiano. Tuscany’s light, aromatic Vernaccia white suits perfectly with all seafood dishes as well as dishes with light cream sauces. Vermentino, which is a white wine commonly produced in Sardinia and other areas along the Mediterranean coast, is also great with seafood. Keep in mind that the sour and salty tastes in food are going to make the taste of the wine milder, while most sweet and flavorful tasting food make the taste of the wine stronger. One of the best wines for citric-based foods such as lemon chicken stew or soup is Pinot Grigio. If you are drinking a very sweet wine such as Vin Santo, you may want to pair that with a nice torte or biscotti. Remember that the wine must always be equally sweet, or sweeter than your meal. When you’re preparing your meal, keep in mind that, light-body wines such as Soave or Pinot Grigio is great with steamed, poached, or sautéed foods. Wines that are medium and full-bodied such as Brunello, Montepulciano d’Abruzzo, or Barolo are drunk perfectly with baked or roasted dishes that have strong flavors. Barbera from Piedmont region and other acidic wines matches well with salty dishes. Because poultries like turkey, quail, squab, and duck have stronger flavors than chicken, it is best to pair them with wines that have those earthy characteristics. Amarone is one of them. There’s a myth that seafood should go with white wine – but this is not the truth! A diverse wine like Chianti has a dry-body that it will improve the taste of any seafood dish. Combine it with it and enjoy the delicious flavors. There are shellfish, such as oyster, that taste good with sparkling wine such as Lambrusco, Prosecco, and Asti. The saltiness of the dish and carbonation brought by the sparkling wine make a perfect combo. When you feel unsure, keep in mind that some rules are meant to be broken… these are only guidelines and not rules, which means there is no wrong way of drinking wine. However, as much as possible, always drink your Italian wine along with Italian food. This will make drinking wine a lot more enjoyable and more fun. Now, go ahead, enjoy your Italian wine. Salute! About the Writer: Alice Ross is a former 9 to 5 slave who now aims to share knowledge and experiences gained from her trips to encourage others to also experience the life outside their comfort zone. Follow her adventures on my website, Twitter, Facebook, or Pinterest. Traveling to Italy soon? 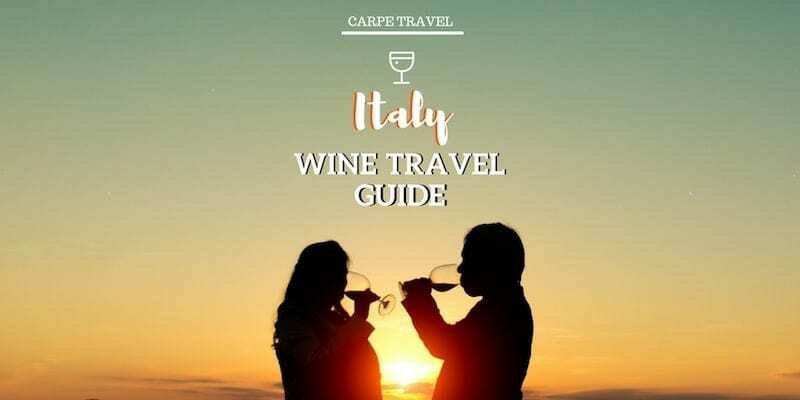 Make sure to check out Carpe Travel’s Italian Wine Travel Guide. I am a huuge wine fan. I’ve actually been to vinyard in Turkey and did a wine tasting and everything. But Italy is definitely a dream! I haven’t visited Turkey yet, the wine scene would be so interesting.